Zede and Mallory have threaded sewing machines many, many times and have taught people how to thread their machines numerous times as well. So, it is no surprise that they would know many common ways to thread one incorrectly. 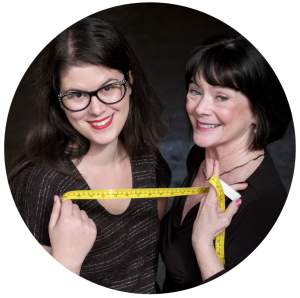 Do you enjoy the “Sewing Out Loud” and “Self Sewn Wardrobe” Podcasts? Become a Sewpporter and help keep us on the airwaves and aid our efforts to transcribe every episode! Mallory and Zede host and moderate a large online sewing community. It takes love, care, and lots of hours to foster an inclusive and positive environment. Our Sewpporters make it possible! Get even more fabulous sewing goodness from Zede and Mallory. Choose from three levels of support to sustain sewing media that’s hilarious, inclusive, and sometimes a bit sweary. Welcome to SewHere.com where Zede and Mallory share sewing wisdom and witticisms with their blog, podcasts and videos.